BT Sport has installed three Autoscript E.P.I.C. (Enhanced Prompting Information Centre) units in its new studio facility at Queen Elizabeth Olympic Park in London. The broadcaster has also adopted LiveU’s backpack cellular transmission technology for remote coverage. BT Sport began broadcasting from the former Olympic International Broadcast Centre on 1 August, 2013. 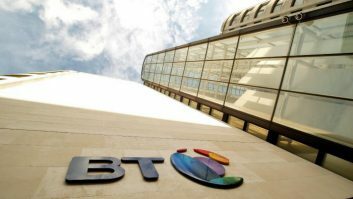 The new home of BT Sport 1, BT Sport 2 and ESPN, the facility includes three large TV studios, seven sports production galleries, a master control room, 20 edit suites, a dubbing theatre and an audience holding area. The E.P.I.C. is Autoscript’s latest all-in-one prompter display and on-air talent monitor. The prompters have been installed in each of BT Sport’s three large studios and will be used for a variety of programmes, including live sports coverage, post-event analysis and entertainment. BT Sport has been using LiveU’s LU70 backpack cellular transmission technology since the facility’s launch for interviews with fans, press conferences, training ground reports and coverage of lower tier sporting events. The LiveU technology will allow transmission from the field using 4G/LTE, 3G or wireless networks. The signal is then fed into the production chain via a LU1000 server. Cameramen can connect to the backpack and go where traditional OB units can’t.